This beautiful itinerary offers lively urban centres, remote wilderness destinations, the unrivalled beauty of Vancouver Island’s scenery and fascinating aboriginal culture experiences. Arriving in the provincial capital of Victoria, you will plunge right into a whale watching journey. Travel to remote Tofino to discover the remote and untamed beauty seldom seen by people, home to grizzly bears, eagles and other quintessentially Canadian wildlife. A captivating stay at an authentic wilderness lodge provides the perfect setting for eco or wilderness tours. The final leg of your adventure takes you back to the mainland where you will explore Vancouver. Arrive in Victoria, pick up your hire car (not included) and check-in to your downtown hotel where you’ll pick up your Out Of Office Roadbook at the front desk. Take the rest of the day to create your own west coast island adventure amid the port lands, parks, restaurants and gardens of British Columbia’s capital city. Overnight in Victoria. Today you embark on a fascinating wildlife viewing adventure aboard a fast-moving Zodiac rigid boat. A certified marine biologist provides insight into the environment and habits of orca, minke and grey whales as well as other marine wildlife. Return to your hotel afterwards for an evening at leisure. Overnight in Victoria. Be sure that you have your camera at the ready – a panorama of scenic beauty is about to unfold before you. 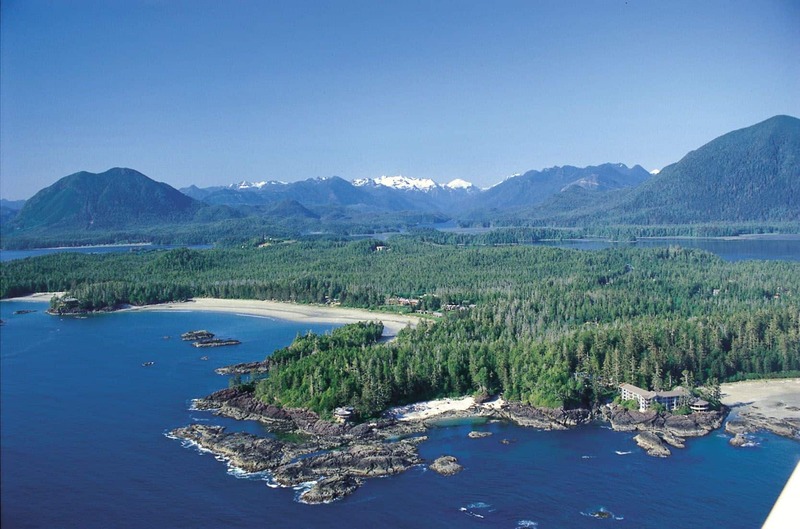 Your road leads across Vancouver Island to the Pacific Coast winding through ancient rainforests and provincial parks. You’re venturing into true wildlife territory, exemplified by The Pacific Rim National Park – a marvel of ecological and geographical diversity. Overnight in Tofino. Today you board a Zodiac boat to take a captivating bear watching excursion and speed along the lush coastline to the bears’ feeding grounds. When the tide goes out the bears emerge from the forests and forage along the shores in search of rock crabs, providing the perfect opportunity to see these incredible creatures in their natural habitat. Back on dry land, you’re free to explore the rugged coastline along the network of hiking trails or to walk the shoreline in search of shells and driftwood. Perhaps enrich your experience with a visit to the Himwitsa Art Gallery and marvel at the collection of authentic pieces native to the Tofino area. Overnight in Tofino. This morning, the spectacular winding road takes you back to the eastern coast of Vancouver Island with. Your route will introduce you to many gems you may wish to stop at for a brief visit at the native rock carvings at Sproat Lake or the picturesque falls at Little Qualicum Falls Provincial Park. Upon arrival in Campbell River, you board a water taxi for the short boat ride to the stunning Sonora Resort. Settle in for the night at this quintessential west coast resort and prepare yourself for tomorrow’s day of adventure and discovery! Overnight at Sonora Resort. Dinner included. ECONATURE TOUR (May 8 – Aug 25 departures) featuring a fascinating tour of the surrounding wilderness conducted by a knowledgeable guide. 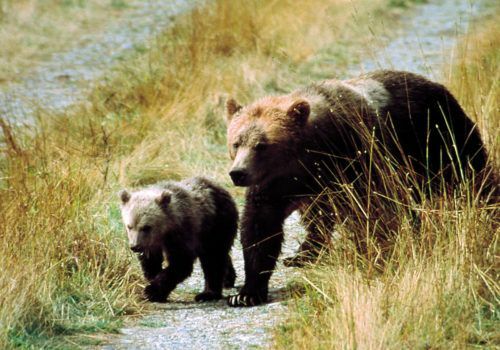 BEAR WATCHING BY BOAT (Aug 26 – Oct 10) takes participants by boat to the prime feeding and gathering areas of the mighty grizzly bear. The guide communicates by headphones to passengers, ensuring the creatures are seen in their most natural an undisturbed state. In the evening, sit down to a gourmet dinner, sip a fine wine on a terrace, or mingle with other guests in one of the lounges or games room. Overnight at Sonora Resort. Breakfast, lunch and dinner included. Today you board the water taxi for your return trip to Campbell River where you continue your drive south along the eastern shores of Vancouver Island. Small seaside towns such as Comox offer delightful spots to stop for a quick lunch or some shopping for reminders of your west coast experience. Arriving in Nanaimo, you board a BC Ferries vessel and sail across the Strait of Georgia to arrive in Vancouver where the remainder of the day is at leisure. You may wish to dine out at one of Vancouver’s many excellent restaurants, offering everything from Canadian/European fusion to authentic Far East Asian cuisine. Overnight in Vancouver. Breakfast and lunch included. Today is yours to explore this vibrant cosmopolitan and gay friendly city. Boutique shoppes line Robson Street, offering everything from high fashion to aboriginal artwork. Stanley Park is interwoven with paved forested trails and features an enthralling zoo at its centre and the fascinating Klahowya Village. The boardwalks along the seawall provide sweeping views of the water and the rising mountains of the mainland. Discover the charms and sights of this truly magnificent city on the water. Overnight in Vancouver. Today drive to the airport for your onward flight.